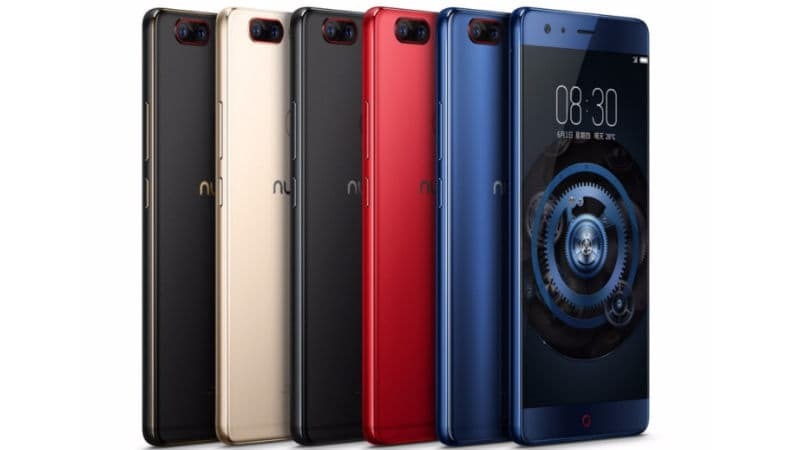 ZTE brand Nubia has unveiled its latest 2017 flagship smartphone, the Nubia Z17 for China. The smartphone packs quite a punch with its rear dual camera setup, Snapdragon 835 SoC and an 8GB RAM/128GB ROM variant. The Nubia Z17 is priced at CNY 2,799 (approx Rs 26,400) for the basic 6GB RAM/64GB ROM variant, CNY 3,399 (approx Rs 32,100) for the 6GB RAM/ 128GB ROM and the top of the line 8GB RAM/ 128GB ROM made available at CNY 3,999 (roughly Rs 37,700). In terms of design, the Nubia Z17 comes in a ultra-sleek glass and metal unibody design measuring 152.6x72.4x7.6mm and weighing 173 grams. It also boasts of the IP certification, making it resistant to both water and dust particles. The top and bottom bezels of the Nubia Z17 houses the sensors, front camera, earpiece grille and the red circled home button while there are no bezels on the left and right edge of the smartphone. As for specifications, the Nubia Z17 sports a 5.5-inch two-sided bezel-less Full-HD (1920 x 1080 pixels) IPS LCD display offering a pixel density of 403ppi with 2.5D Corning Gorilla Glass on the top for protection. Under the hood, the Nubia Z17 is powered by the Qualcomm's latest top-of-the-line Snapdragon 835 octa-core SoC clocked at 2.45Ghz paired with Adreno 540 GPU. Storage wise, the Nubia Z17 comes in three variants with 6GB RAM + 64GB ROM, 6GB RAM + 128GB ROM and a monstrous 8GB RAM + 128GB ROM version. On the photography department, the Nubia Z17 flaunts an impressive rear dual camera setup with a combination of 23-megapixel and 12-megapixel sensors. They are equipped with 2x optical zoom, 10x dynamic zoom with NeoVision 7.0 image search engine, f/1.8 aperture and dual-tone LED flash support. On the front, there is a 16-megapixel snapper with 80 degrees wide-angle lens and f/2.0 aperture for selfies and video chats. The Nubia Z17 runs on the latest Android 7.1.1 Nougat wrapped under the Nubia UI 5.0 OS with the NeoSmart Artificial Intelligence for assisting its users by learning their behavioral patterns. The smartphone also boasts of Dolby ATMOS certified speaker for Hi-Fi audio output and IR blaster for controlling various home appliances like TVs or AC just like a normal remote. The Nubia Z17 gets all of its juice from the 3200mAh battery which is also the first of its kind in smartphones to support the Qualcomm Quick Charge 4+ that will charge the battery up to 50 percent in just 20minutes. Nubia has also bundled in NeoPower 3.0 power saving system with the Z17, that basically suspends unnecessary background processes resulting in a battery life of up to 2.4 days. 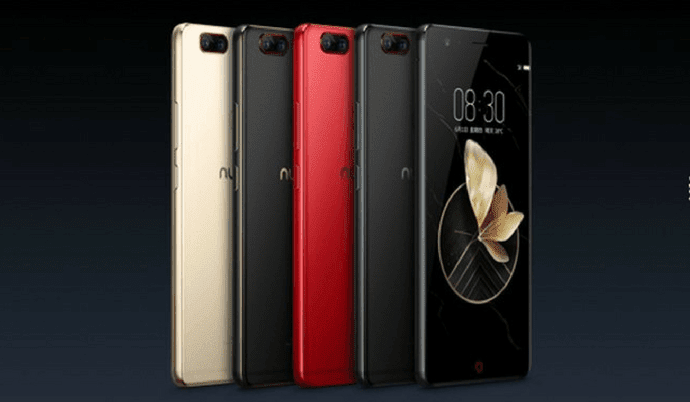 The latest premium offering from Nubia, the Nubia Z17 will be offered in five color options - Aurora Blue, Black Gold, Solar Gold, Obsidian Black and Flame Red. It is up for preorders in China from July 6th on the company's official website but there is no further info about the availability of the device outside of its home market.